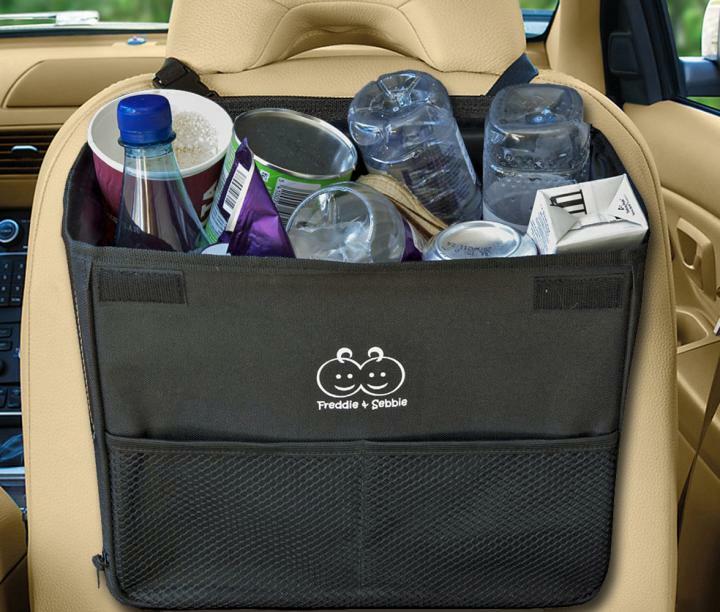 Freddie and Sebbie , an established leader in kids accessories, baby accessories, car accessories, kick mats, car window sun shades, car trash bins , today announced the debut of the Deluxe xLarge Car Trash Bin, The deluxe car trash bin has been perfectly designed to fit most cars, and has been made to the highest standards in quality, safety and reliability. It is fully leak proof and comes with 4 solid sidewalls which helps to prevent the trash bin from collapsing. It measures 12″ long x 10″ deep x 7″ wide, and has been designed to always remain permanently secure in one position. It is also very simple and easy to install, and can be fitted either on front or back headrest, as well as on the front or back of the bottom of the car seat. All of the Freddie and Sebbie products come with a lifetime no-hassle free replacement guarantee.